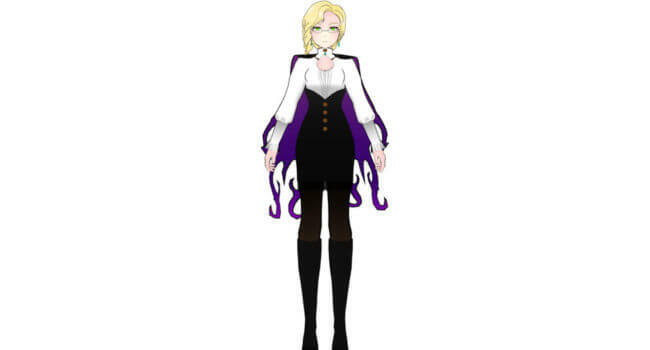 In RWBY, Glynda Goodwitch is a staff member at Beacon Academy. She has a strict personality, using a riding crop to create energy shields, form storm clouds, and perform telekinesis. 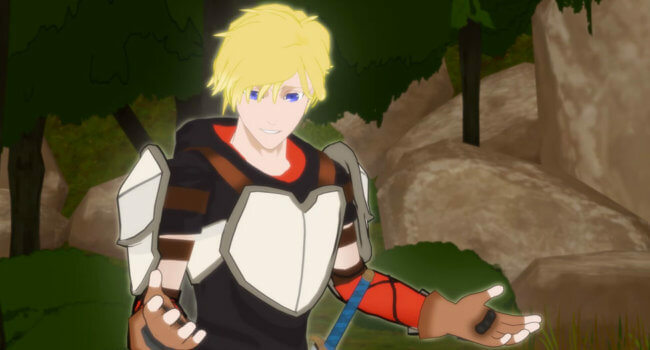 In RWBY, Jaune Arc is a kind-hearted teenage boy who’s been known to stand up for Ruby. He’s been noted to possess a high level of Aura. In RWBY, Yang Xiao Long is a teenage girl who wears a tan vest with gold piping over a yellow low-cut crop top with a black crest that resembles a burning heart. The vest has puffy cap sleeves with black cuffs. Her long blonde hair becomes lighter in color at the tips and flows in a loose and messy manner, with a few locks sticking out and a small cowlick on top of her head. She has a pale complexion and lilac eyes. Her weapon of choice is a pair of Dual Ranged Shot Gauntlets, Ember Celica. In RWBY, Ruby Rose is the former leader of Team RWBY. Ruby appears as a young, silver-eyed girl dressed in a black blouse, a black waist cincher with red lacing and a skirt with red trimmings, completed by a red, hooded cloak. Even her shoulder-length hair is black with a red tint to it. Her weapon of choice is her High-Caliber Sniper-Scythe (HCSS) known as Crescent Rose.